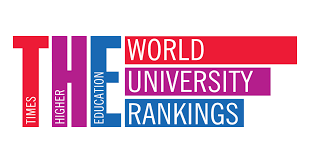 The Times Higher Education (ΤΗΕ) ranks Universities according to their objectives regarding research, teaching, knowledge dissemination and international outlook. The methodology used by THE is based on 13 performance indicators, grouped in 5 sectors: Teaching (30%), Research (30%), Citations (30%), International Outlook (7.5%) and Industry Income (2.5%). Citations (Weight: 30%): Research influence is examined by capturing the number of times a University’s published work is cited by scholars globally, compared with the number of citations a publication of similar type and subject is expected to have. Industry Income (Weight: 2.5%): This category seeks to capture how much research income an institution earns from industry, scaled against the number of academic staff it employs. For more information about Times Higher Education (ΤΗΕ), click here.